The Chemsplash® Cleanroom Coverall is suitable for ISO 5 Class (Class 100) Cleanrooms and critical environments. 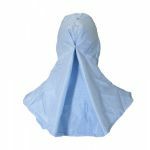 The Garment is manufactured with an Antistatic Polyester material, with twin needled stitching, the fabric edges are heat sealed, with an adjustable stud front fastening and back studs to provide a comfortable fit including stud fastening for a facemask. The low linting garment is suitable for Autoclaving, Gamma Irradiation and Industrial washing. 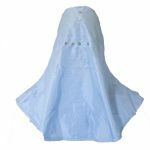 Available in Blue and White, and the flexible sizing between XS to 2XL.